— Good value prices, wide range of accommodation alternatives & must see destinations. The rectangular shaped of country is surrounded by three different seas. 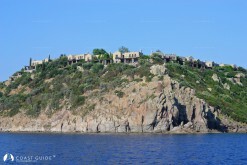 Turkey hosts indescribable beaches, bays, straits and islands. Turkey is also embellished with great mountains, valleys, lakes, canyons and waterfalls perfect for winter and summer tourism and sports of all kind including; trekking, rafting, paragliding, balloon travelling, bird watching, hunting, mountain climbing, golfing, valley tourism, cave touring, scuba diving, boating and also suitable for youth and congress tourism. Turkey is a stupendous open-air museum and the cradle of different civilizations and home to different religions for centuries. Health tourism has also developed as so many healing waters, hot springs and mud are highly recommended by the authorities as a remedy for many diseases. Turkey is an immense peninsula extending with an area of 814,578 km2 and connecting Asia to Europe through the Sea of Marmara and the Straits of Istanbul and Dardanelles. Anatolia is almost rectangular in lay out; 1500 km long and 500 km wide. Turkey has 300 natural and 130 artificial lakes. Turkey has different geographical formations including parallel mountains, extinct volcanoes, valleys splinted by ravines and plateaus. This geography leads to moderate climate in the Black Sea region, Mediterranean climate on the southern coast and arid climate in the central part and a harsh mountain climate in eastern side. Due to climate variations, the fauna and flora are some of the richest. The Aegean coastline is considered an important nursery ground for Mediterranean monk seals and turtles Caretta caretta. Dalyan Iztuzu Beache is the breeding ground of caretta carettas. Turkey is divided into seven geographical regions, which are ordered by area; East Anatolia (21%), Central Anatolia (20%), Black Sea (18%), Mediterranean (15%), Aegean (8,5%) and Southeast Anatolia (7.5%). Turkey is fairly easy to travel. Public transportation including air, land, sea and railways are well established and maintained. There are many travel agents and tour operators both for domestic and international arrangements. Turkey, known officially as the Republic of Turkey, founded in October 29. 1923 by Mustafa Kemal Atatürk. Ankara is the capital. Istanbul, Ankara, Izmir, Adana, Antalya and Bursa are most populated cities. Islam is the predominant religion with about 99% of the population. Turkey is a democratic, secular, unitary and constitutional republic rooted with cultural heritage. Turkey is the only secular state in Islamic world; welcoming and being home to different religions as well. There are 234 Churches and 24 Synagogues throughout the country. People wear modern dresses like any western countries, but dress coding in rural areas are more traditional style. Solar calendar is used in Turkey. Turkish is the sole official language throughout Turkey; also English is widely spoken in the touristic spots. Turkish Lira is the currency. Convertible hard currencies are accepted in most places. The local banks’ ATMs are abundant and work efficiently. Major credit cards are commonly accepted. Isolated coastal restaurants prefer cash, you should be prepared with Turkish currency when you are dining or shopping in more remote cruising areas. There are three GSM operators in Turkey, providing 3G services. Most places have a post office, where local and international calls can be made. Telephone cards can be purchased as well. In the post offices and hotels calls are metered and payment is made at the front desk. There is a roaming agreement between Turkish and Greek service providers—along the coast the signal is picked up by either country depending on proximity. Internet connections are available in the marinas. Most towns have Internet cafes. Facsimile connections from digital phones are available with the proper PC card for specific cellular phones. 220 volts all over Turkey. 380 volts available in most marinas. GMT +2 in winter, and GMT +3 in summer (from the end of March to the end of October). The dates of religious holidays come 10 days earlier each year according to Lunar calendar. Ramadan holy Days (Şeker Bayramı) lasts 3 days and symbolizes the end of the Ramadan, a 30 day period of fasting. Holy Day of Sacrifice (Kurban Bayramı) follows 10 weeks after Şeker Bayramı. The feast of the sacrifice lasts 4 days. Banks and public services are closed on religious feasts and national holidays. Turkish hospitality is a widely known trait for Turkish people. Traditional Turkish customs still survive. Body language and personal space resemble more to Eastern cultures (such as Turkish men kissing each other on both cheeks when greeting). Turkish people respect the national flag as sacred. Therefore one should avoid insulting or showing disrespect. There is no doubt that Turkish food now ranks among the greatest and most distinct cuisines of the world because of the variety of its recipes & ingredients. Turkey is one of the world’s self-sustaining countries—it produces all of its food, thus everything is made from fresh and local ingredients. Turkish cuisine is originated from Asia and then evolved with Mediterranean tastes. Restaurants open for lunch at 11:00 and remain open through dinner time. The menus and prices do not change between lunch and dinner. Usually you seat yourself, except in upscale restaurants, and even in such establishments you are usually given a choice of tables. Tipping, as it is in other countries, is expected; around 10 to 15% of the bill is customary. Visitors should be aware that there are strict penalties for using and carrying drugs (hashish, etc...). Turkey has become one of the most preceded destinations in the world for sailors because of its wonders of nature. Turkey has 4500 nautical miles long coastline. 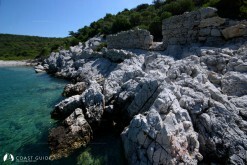 The bays along the coast with historical and natural settings are impressive for the visitors. Boating concept is well understood by the authorities, thus considerable momentum has accumulated in terms of infrastructure and well equipped 26 marinas have been installed along the coast of Aegean and Mediterranean seas. 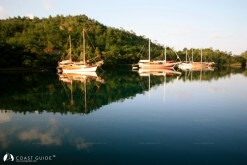 The marinas in Turkey are becoming favorite liveaboard spots for the winter season. A vibrant and international social life can be noticed all year long in the community of British, German, Italian and French sailors. 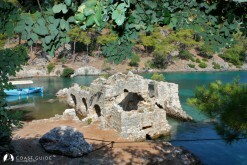 Turkey abounds with archaeological sites dating from the dawn of civilizations. 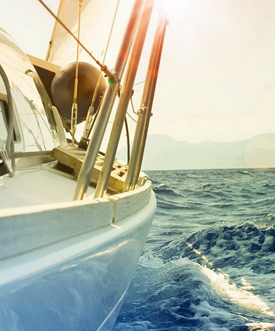 With adequate climate variations, boating in Turkish waters has become a real delight. Turkey offers so many options for sailors. Boating facilities including gullet-yacht chartering, bareboat arrangements are very much improved. Provisional, technical-maintenance facilities and boat winterizing services reached outstanding levels. Entry and exit procedures are no more complicated for the visitors. Visas are easily issued at the frontier port or airports. Transportation facilities are well established and maintained. Medical services including state and private hospitals network are efficient throughout the country. Sea-rescue services with remarkable progress are in order. Boat building has also become an important industry for the Turkish economy. A large number of boats with outstanding standards have been introduced from the yards in the Aegean Sea. They are cruising all around the world. Sailing destinations within the bays in and out to the Islands in Aegean Sea are easy to explore and these destinations are most popular for the sailors. Enjoy sailing and swimming in turquoise clear waters during day and in the evening there is always a hospitable port which will please all kind of styles. Provisional facilities are very efficient. Public markets are organized in every town and village along the Aegean coastline. Boating has become a kind of life style in Turkish waters and the pleasure of boating will tempt you back again and again, to explore yet another stretch of coast and to relieve the luxurious ease of life on the sea. There are attractive and colorful diving spots in the Aegean and Mediterranean seas. Diving facilities are well developed in Turkey. Scuba diving arrangements have reached outstanding standards. Diving courses and tours are organized from most destinations along the Aegean coasts. Sporting diving with proper equipments in non-restricted areas is permitted for the visitors. Foreign divers should have official documentation of their specifics and training and must be accompanied, when diving, by a licensed Turkish guide. The underwater scenery is varied and interesting, with tunnels, caverns and rocky pinnacles providing divers with plenty to explore. There are also a lot of wrecks along the Turkish coast, both recent and modern. However many of these sites are protected by law so it is forbidden to dive. It is also common to find the remains of pottery and amphora as you are diving. There are strict diving regulations in Turkey. Diving in prohibited areas may result in fines and confiscation of equipment. If it is suspected that the purpose of the diving is to obtain antiques from the seabed, the dive boat may be confiscated. The Bodrum Museum of Underwater Archeology is one of the most important museums in the world which must be definitely visited to see collection of relics, representing the fascinating life of mariners and shipwreck. Turkey has very rich fishing grounds. There are certain fishing regulations. The most important one; commercial fishing by foreigners is prohibited. As a new concept; fishing tour organizations are in progress. Boats entering or leaving Turkey must do so at designated Entry – Exit ports. 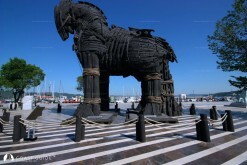 Hopa, Rize, Trabzon, Giresun, Ordu, Samsun, İnebolu, Sinop, Bartın, Zonguldak, Ereğli, İstanbul, Tekirdağ, Derince, Gemlik, Mudanya, Bandırma, Anamur, Bozyazı, Taşucu, Mersin, Botaş and İskenderun. Your crew and visitors must have valid passports and visas. Visas can be obtained at the port of entry and are usually valid for three months. Extended visas can sometimes be obtained from the Turkish Embassy in your country of residence, or for 12 months if you have an annual contract with a Turkish marina. When you enter Turkey, you will be required to obtain a transit log, which will document necessary information about the boat and her owner. A transit log is valid for one year and entitles you to sail any place in Turkish waters as long as you have it on board. When ownership is changed within the validity of transit log, then the new one is to be issued. When you leave Turkey, deliver the transit log to the Customs Authority when you go to obtain the exit stamp on your passport. Foreign boat owners can import duty-free spares and equipment for use on their own boats, under Customs Authority control. Once you have a valid transit log, you are entitled to sail freely in Turkish waters and between ports, on condition that the purpose of your trip is not commercial. As long as the captain, crew, and guests remain the same during such cruising, you can freely enter all ports and bays (except forbidden zones). If any change in crew occurs between ports, you should apply to the next port authority for confirmation of the change on the transit log. Transit logs are valid for a period of one year. Foreign-flagged private boats that belong to more than one owner, or to an association, may be used by four different “captains” per year. If you wish to extend your visa, you will need to confirm a mooring with a marina licensed by the Ministry of Tourism as your valid address of residence. Once you notify authorities of the address, you will be granted an extension. The potential extensions to your terms of residence and visa may be no longer than five years, depending on the terms of contract for your mooring. You can also use your own motor vehicle during your stay in Turkey, under the terms of your visa and residency permit. Should you wish to leave Turkey temporarily with your yacht, you should leave your vehicle in locations that are allocated and monitored by the Customs authorities. On condition that they are sailed by their owners once every two years, foreign-flagged yachts can remain in Turkey up to five years without any requirement or special permission. During this period, if you leave your yacht at a marina or moorage licensed by the Ministry of Tourism, you can leave Turkey by other means of transportation. When leaving a Turkish port for international cruising, you need to complete the yacht registration form and have it stamped by the Port Authority, and then follow the required procedures at the Customs Directorate. 1. You are not allowed to use your private boat for commercial purposes, unless you obtain permission from the Ministry of Tourism. 2. You are not allowed to charge individuals whom you have declared to be your guests for their cruise. 3. If you submit any untruthful declarations, you are subject to legal proceedings. 4. If you export any historical artifact, you are subject to legal procedures. 5. You and other yachts or ships should not engage in any way in the exchange (buying or selling) of goods that have not been through required customs and duty procedures. Such exchanges are illegal. Any of the acts listed above are considered acts of crime internationally. In our country, if one of these acts is deemed to have taken place, then legal proceedings will follow in accordance with the relevant Turkish legislation.